We seek outside ourselves for answers that can really only be found by going within us. The wisdom of the ages is found inside each and every one of us here on earth. The journey to go within can seem very frightening at the beginning. It’s so expansive and there is no instruction book explaining exactly how every step will look along the way, like a scientific experiment with guaranteed results every time. Only hints and recommendations of what happened to this person or that person and what they felt or did while at the same time telling you to trust that it will work for you too. That’s where the BIG leap of faith comes in. Spirit will push the door open giving you opportunities to step into something new or different. When the time is right for you, you will take those first steps into the doorway in a leap of faith that you may not even believe in. You will do it because it “feels” like something you are supposed to be doing and it “feels” right for you. Your GUT, your intuition, your knowing, will KNOW that it is the right thing to do, and that’s all you have to worry about to get started on the journey within you. Along the way you will discover that you do have guideposts inside you from your life experience, from books you’ve read, and people you’ve talked to that point you in the right direction. When you get stuck you’ll find that the right people will show up, the right books will come your way or just the right information will land in front of you to help you to the next step. It’s not about perfection or doing everything the books say to do. It’s about how you follow YOUR intuition and knowingness inside you. 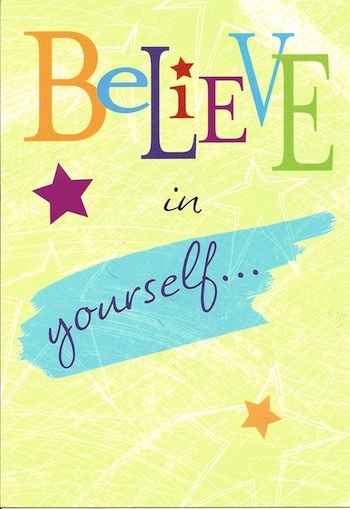 It’s all about pure TRUST in yourself and Spirit. How you walk it your way. It’s about a leap of faith that you DO know what you’re doing, even if you don’t. You just know you have to do it for YOU. Wisdom is not playing one card against the other. Wisdom is holding your cards into the unknown and letting go of the outcome. WE ARE ENERGY, invisible etheric strands of energy. Many scientists today finally agree with decades of Human Energetic research that everything in the universe is made up of this wonderful invisible source of energy, including us. In fact, we could not exist if it didn’t exist. We are living energetic computers. Imagine a circuit of brilliantly woven light drawn together by a giant spider connecting everything in the universe together. Let’s expand our vision and observe as these strands run through and around us, making us a living part of everything in the cosmos. 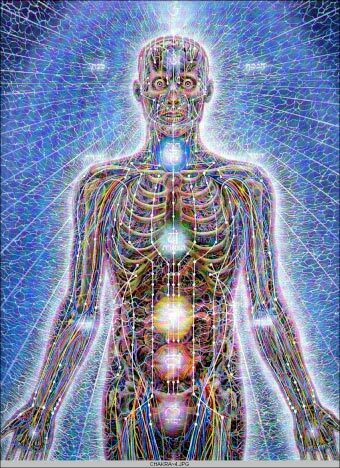 Now go microscopic and watch these strands course through every cell in our body via our chakras, meridian lines and Kundalini creating cellular light and electricity. These light circuits are why some people refer to humans as, “The connection between heaven and earth” and other people say, “We are all connected to everyone and everything in the universe”. SEE NOW 7 wheels of light being added down the center of our body running from just above our head to the base of our trunk. These wheels are called chakras. They are living wheels of light, which draw in this etheric energy and disperse it to all levels of our entire being; physical, emotional, mental and spiritual. Change your focus again and as your vision becomes clearer you perceive the four etheric layers of the body; the etheric body, the emotional body, the mental body and the spiritual body. Each chakra relates to specific body organs and functions, emotions, thought processes and spiritual connections. Each has it’s own color, a sound that harmonizes and balances it, psychological and emotional processes, and ways that it helps to make us sick or to heal us & keep us healthy. For example: the solar plexus chakra color is yellow and relates to the issues in our daily lives that deal with power; expressing power outwardly towards others, in our beliefs about power, or how we define our personal power. This chakra also helps identify the amount of energy we store towards joy or anger, taking action in our lives through our will power and expressing who we are. Directly connecting to our adrenal glands if effects emotional and physical balance. Malfunctions of this chakra can express themselves in the form of ulcers, timidity, and fatigue or digestive troubles. 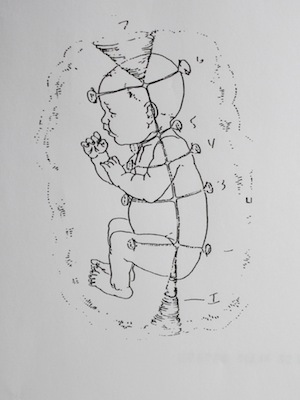 Even in The womb we are connected to this invisible source of life and energy. 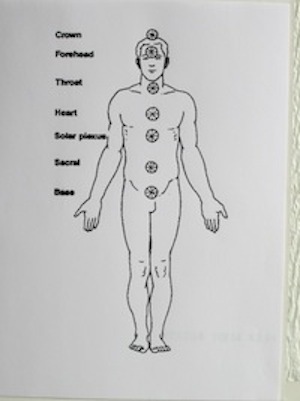 Visualize the Kundalini, which is part of our energetic system, running up the spine passing through and connecting to all 7 chakras from the root and the crown chakras. Our own energetic system supports us as we grow in the womb. Our Kundalini is our connection to heaven and earth. Energetic healers, such as those who practice Healing Touch, Reiki, Sekhem or Pranic Healing, work with this cosmic system of etheric energy through their own bodies. We do this for the purpose of helping augment and supplement a client’s own energy field. This work helps to modify the body’s state of health and well being on all energetic and physical levels in a positive manner and promote further healing to continue. It is also through these energetic strands of light that our intuition, psychic abilities and channeling abilities work and are expanded. Since these strands connect us to everyone and everything in the universe we have the potential to tune in to anything, anywhere and receive information about it. A mother receives intuitive, “gut feelings”, that her child is in trouble, someone senses that their significant other is not feeling well, or a gut feeling that something is going to happen and we change our plans only to find out later that something did go wrong. Only our intuition saved us from having to experience it. All probabilities are available, but none not written in stone. It is man’s free will that changes or assists many, but not all, outcomes when perceived in advance. I encourage everyone to further investigate his or her own either energy field. 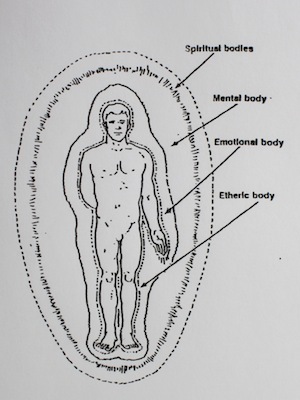 All human potential lies in these etheric energy fields. No matter if you are a beginner or an old pro at energy I highly recommend going back to basics at this time. New rules are being written on the subjects of etheric energy, chakras, Kundalini and energetic healing all the time now. But going back to some old time tested material such as C. W. Leadbeater and Edgar Cayce or even exploring the any of the decades of material up until now will help to inform you on any of these subjects. Pull out the facts that fit you and the teachers you are drawn to, because that is what really counts. What information is pertinent to you? What truths are you drawn to? How do you apply them to your life? 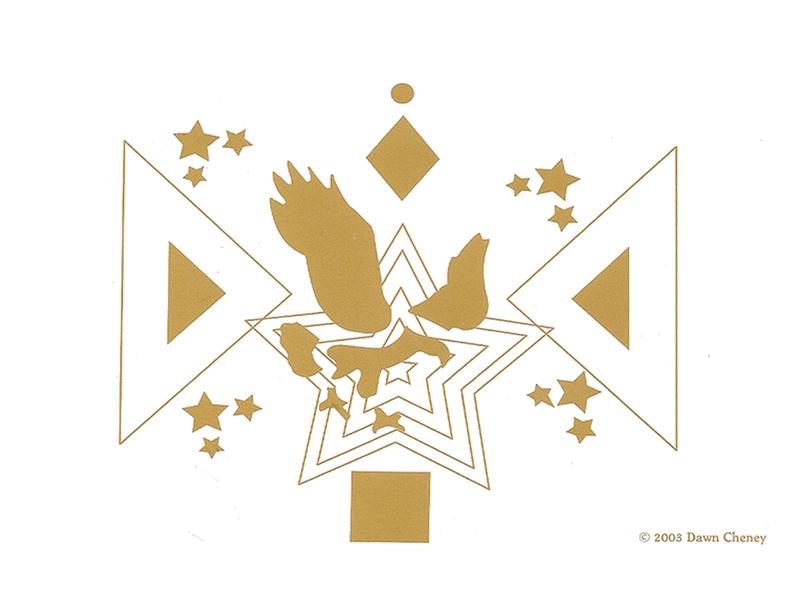 My own personal basic energy favorite is by Maya Heath, ENERGIES – A BOOK OF BASICS, as seen above. 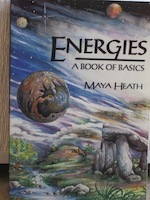 I highly recommend reading Maya Heath’’s ENERGIES – A BOOK OF BASICS no matter if you are a newbie to the subject of energy or many years into it. As the title says, it is a basic introduction to the many different ways this incredible invisible energy fits into and benefits our lives. Look at it as a guidepost, keeping what works for you and discarding what doesn’t. Let it stretch your imagination and experiences to the existence of new worlds or to be a reminder of a thing or two concerning basics or things forgotten. And most of all enjoy the ride. For more information and/or training, contact me.